It’s the end of your first day and the to-do pile of work on your desk looks like it will take an age to complete. Your new boss walks into your office and asks you to a ‘little’ job and you can’t say ‘no’, which results in you taking on more work than you can realistically manage. What do you do? It is a natural response to want to accommodate the requests of your superiors especially when you are new to the company and are desperate to create a good first impression by not appearing to be too lazy to help, or feel that you are letting everyone else down. But, there is also the very real risk that you can sabotage your career by saying "yes" all the time. And your credibility and reputation can be irreparably damaged if you end up failing to deliver on something you've committed to.So how do you decline extra work without offending anyone or risking your job? If you have always accepted the demands of your former managers without question, then it may be more difficult to break that pattern of behaviour and maybe even daunting. But this is your first day and your opportunity to avoid taking on too much. If you fall into the trap of becoming overloaded with work, you need to take steps to remedy the situation because when your workload is excessive, you cross over the line between ‘positive’ and ‘negative’ stress and start to feel out of control. The average employee in the UK works seven hours a week for nothing, with Britons working the longest hours in Europe, according to the TUC. If you can’t say ‘no’ then you are in danger of becoming stressed, fatigued and even resentful of your peers or superiors, particularly if you end up having to work through your lunch break or staying longer than everyone else at the end of the day. 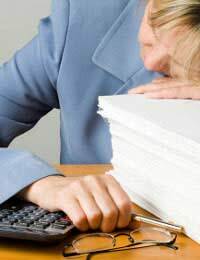 Indeed, a report by the Chartered Institute of Personnel and Development revealed that one-third of all employees suffer sleepless nights because of stress. When saying ‘no’, try to remember that the person making the request probably has no real understanding of what your existing workload might be or perhaps they don’t fully appreciate the time involved for you to carry out their request. The most effective tactic could be to avoid confronting your manager about your overall workload. Instead, restrict your ‘negotiation’ to a specific task or project that is taking up too much of your time. "In circumstances such as these, a key is patience and communication. A blunt refusal to help will simply burn bridges and damage goodwill. Instead, simply explain your existing commitments - and perhaps propose another way or another time that you could offer assistance." "We're not talking here about being uncooperative and unhelpful with people," Carroll says. "Most of us gain satisfaction from working within a team environment, one in which we exchange help and support with workmates. What we are discussing is the ability to say no to demands that are either unfair and unreasonable or requests that are simply more than what we can do - given our current commitments." If you say ‘no’ make sure that you do not fall into the trap of being over-apologetic. Say what you want to say in a concise way so that it doesn’t sound like you are trying to make excuses to avoid taking on the extra work. And, stand your ground. If people get the impression that they can talk you round then they may persist until you give in. Don’t. Saying ‘no’ will get easier as you go along, just remember to think it through so that the person who is being refused can see that you have seriously considered their request. Human nature dictates that we all have the need to feel accepted and liked by others. But, someone who is assertive and fully aware of their capabilities and limitations, who is able to calmly evaluate requests made of them and judge whether to agree and communicate their decision in a confident and clear manner is going to be looked upon favourably. Is this New Job a Big Mistake?